Blackphone handsets can download and install a major software update today – ahead of the opening of an online store for privacy-focused apps for the mobes. 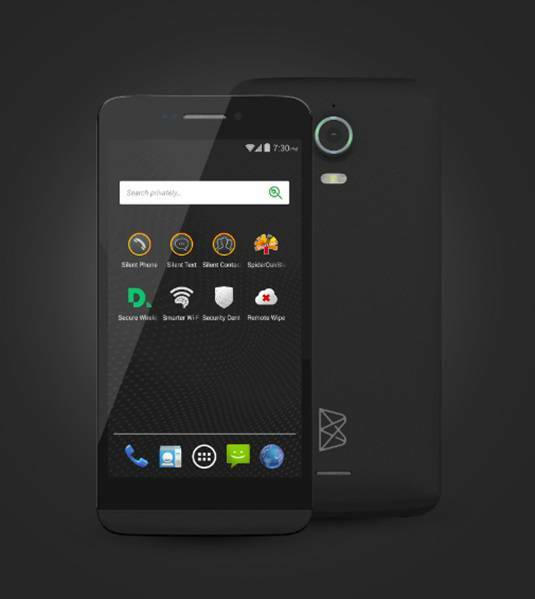 The Blackphone runs its own hardened version of Android, dubbed PrivatOS, on custom hardware. It allows owners to make and send encrypted calls and texts, among other security features. Today's upgrade is the first serious addition to the operating system since the phone launched in July. The 1.1 build fixes a number of small niggles, but the big change is the ability to partition the phone's storage memory into areas called Silent Spaces, so that many different locked-down accounts can be run on a single handset. This allows owners to compartmentalize the information on their device, keeping personal files away from work-related apps, for instance. "Blackphone is the only device that places privacy above everything else," said Alec Main, CEO of Graphite Software, one half of the joint venture behind the phones. "The combination of Graphite's Secure Spaces as part of Blackphone's PrivatOS gives consumers the ability of a rich app experience and converged corporate device, while staying in control of their personal information." In January Silent Circle, the other half of the joint venture, will open a Blackphone app store for the phones. Company cofounder Jon Callas told The Register that the app store will host security software and more general applications and software will be checked (as far as possible) to make sure it is secure and unlikely to leak data or – worse – put the handset's core security at risk. "The addition of Spaces and the Blackphone app store is the most significant update to PrivatOS since its inception and is a real 'game changer' for the brand, further highlighting our commitment to placing privacy back into the hands of the user," said Blackphone's CEO Toby Weir-Jones. "We are delighted to have developed the Silent Space, alongside Graphite Software, who share our core values of privacy and security." Blackphone has carved out a unique niche for itself in the smartphone market. Developed by the team that created PGP encryption, and partially funded by a couple of former US Navy SEALs, the handset promises private voice communications using a custom encryption algorithm. So far it's very popular with the hacker community and g-men – the FBI were able to negotiate a volume discount because it bought so many for agents – and the security on the device looks best in class. That's not to say it's totally unbreakable, in the right circumstances. At DEFCON this year one hacker claimed to have totally rooted the phone, although it later transpired that he was using an improperly set up and unpatched version of the operating system.